Cöde Clay Mitt Lubricant should be used in conjunction with the Cöde Luxury Clay Mitt. It is a fast and efficient way of removing industrial contaminants from the vehicle surface. Thoroughly wet the vehicle surface then spray a selected area with the lubricant. Glide the Clay Mitt over the sprayed area lifting the contaminants as you go. Repeat section by section till complete. On a hot day you may be required to wet the vehicle on more than one occasion. Regularly rinse the Clay Mitt in clean cold water. The Cöde ‘Clay Mitt’ process removes surface contaminants such as bugs, tar,dirt, grit, brake dust and industrial fall out. 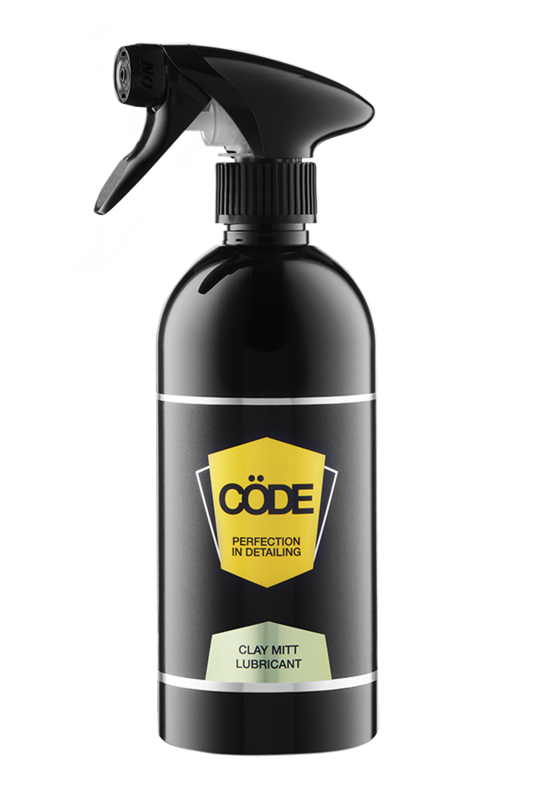 B Cöde Clay Mitt Lubricant will ensure you get the best results from your Cöde Luxury Clay Mitt. Please call 1300 845 498 for more information if required. 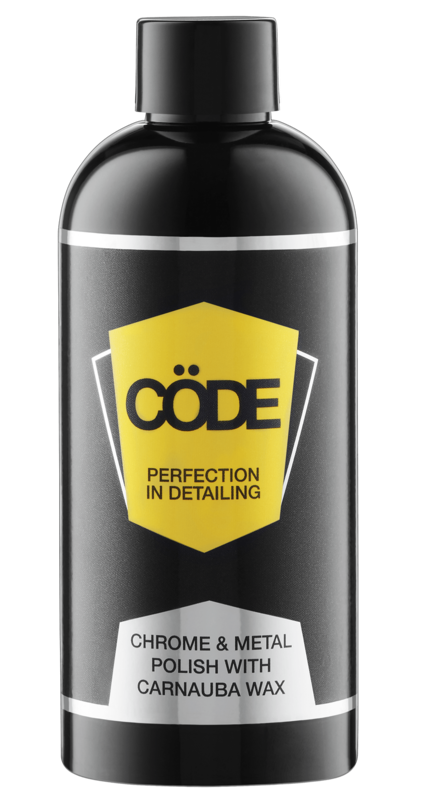 Spray Cöde Clay Mitt Lubricant on to the vehicle then glide the Cöde Luxury Clay Mitt effortlessly over the paint surface to remove contaminants. The clay mitt should be rinsed out regularly during the cleaning process and then thoroughly at the end of the vehicle wash.
May be applied to all external surfaces of the vehicle including glass and metal finishes. 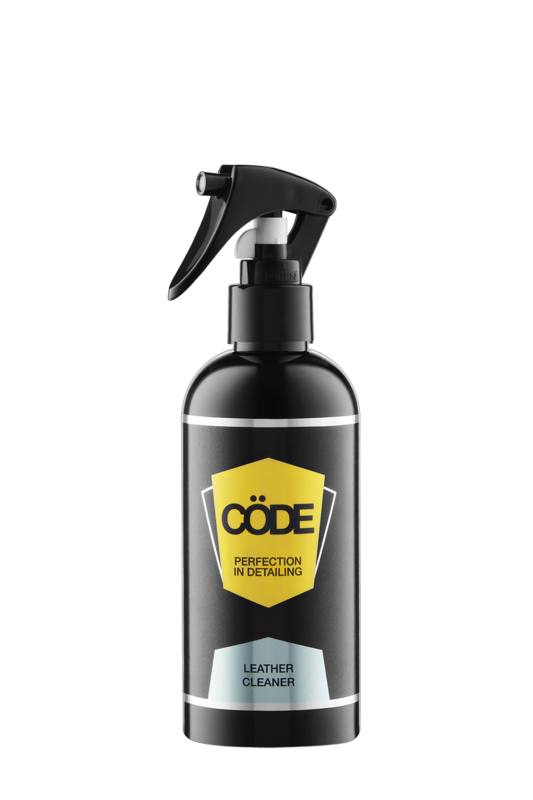 Rinse vehicle thoroughly after application and dry with a Cöde Luxury drying towel.